Just because the children are off school doesn’t mean that you can’t get out in the fresh air to tone up and to burn some calories. 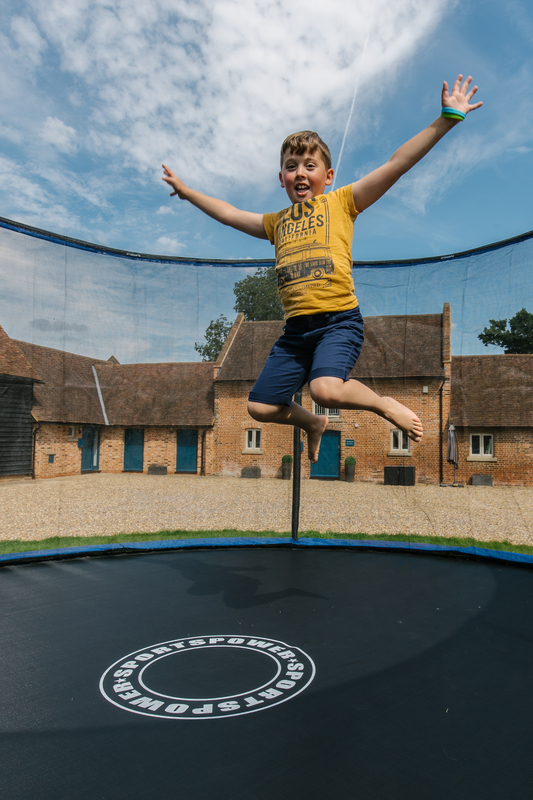 If you have a trampoline in the garden, you can have a great time fooling around with the kids and getting fit at the same time – plus it’s absolutely free! Jumping on a trampoline, as opposed to running on concrete, reduces the impact on your limbs by 80%. Studies have shown that you can burn the same number of calories in just ten minutes of trampolining as you would jogging for half-an-hour. But don’t forget to warm up for a few minutes beforehand to get the blood pumping by jumping lightly, and at the end make time for an all-important cool down. And once they know that mum’s up for the challenge, your little darlings won’t have to be coaxed away for their gadgets to join you and you’ll have a hoot together – far more fun than a spin class or just running on a treadmill. Ifyou get tired, you can easily change the way you bounce — from up and down to side to side to help combat exhaustion and work different parts of your body. Trampolining isn’t just good exercise and gentle on your joints, it’s liberating both physically and mentally. This fun aerobic and cardio workout will help to strengthen your organs and increase your heart rate as staying in constant motion improves the blood circulation around your body to improve endurance and help eliminate any stubborn layers of fat! What’s not to love? Other outdoor toys that you can use for toning workouts include swings, hoola hoops and skipping ropes, all it takes is a bit of imagination for you to look good and feel great whilst entertaining the kids! 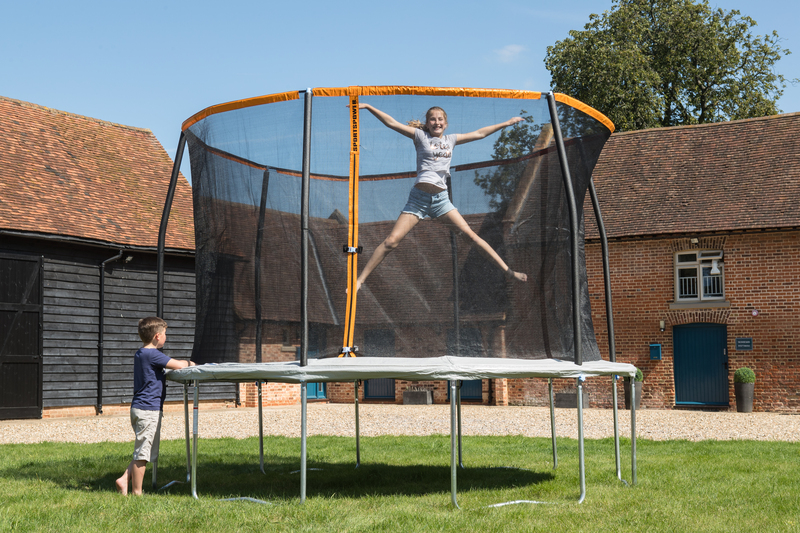 If we’ve inspired you to invest in a Sportsoower trampoline, please visit very.co.uk or argos.co.uk to see the exciting ranges available.